Martin N. Speroni – Saunders & Ojeda, P.C. 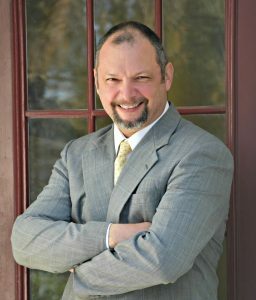 Martin N. Speroni moved to Virginia in the late 1980’s to study at Old Dominion University where he graduated with a BA in Business Administration. Mr. Speroni also holds an MBA from Columbia University, a MA in Sociology from the University of South Florida, and a law degree from Regent University. Prior to practicing law, Mr. Speroni worked as a Financial Analyst at Continental Grain Co., a Securities Trader at Raymond James & Associates, and has over ten years professional experience as a venture capitalist. He has also taught at Old Dominion University’s MBA program. Mr. Speroni lives in Suffolk, VA with his family where he enjoys motorcycling, woodworking, hiking, traveling, and spending time with his family. Born in Argentina, Mr. Speroni is fluent in English, Spanish and French. Mr. Speroni is a member of the Virginia State Bar, the Suffolk Bar Association, the Virginia Beach Bar Association, and the Virginia Trial Lawyers Association.